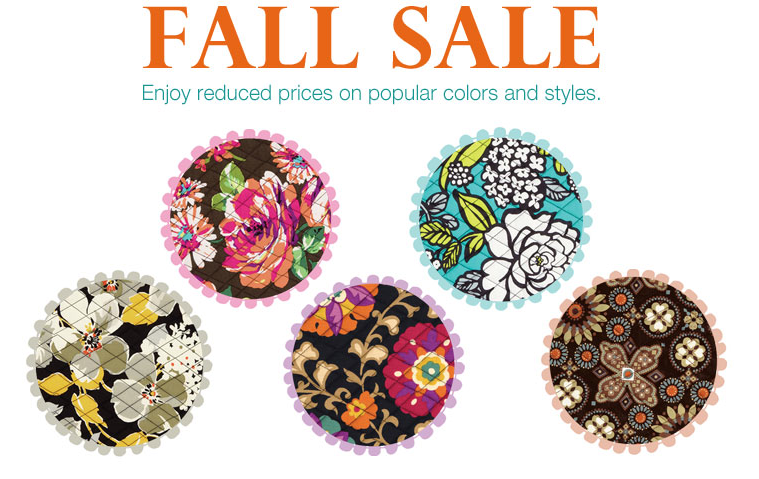 Vera Bradley's Fall Sale has started!! Save 30% off Dogwood, English Rose, Suzani, Island Blooms and Canyon! 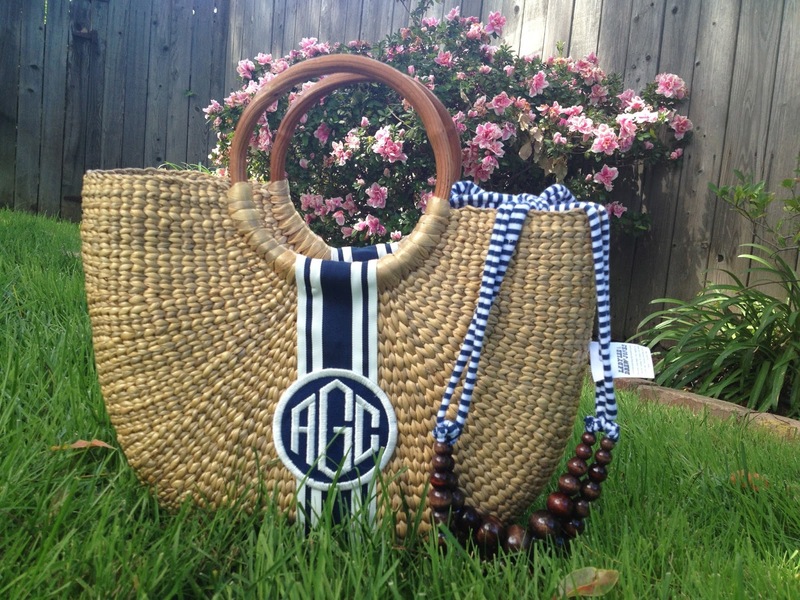 Now through Sept 2 you can get a free Small Colorblock Tote when you spend $100 or more! The outlets have a 50% off sale going on. I would call or check online (the webpage for the outlet mall you shop at should have a sale page) first to see if you outlet is participating just to make sure, some have been known to have different offers. 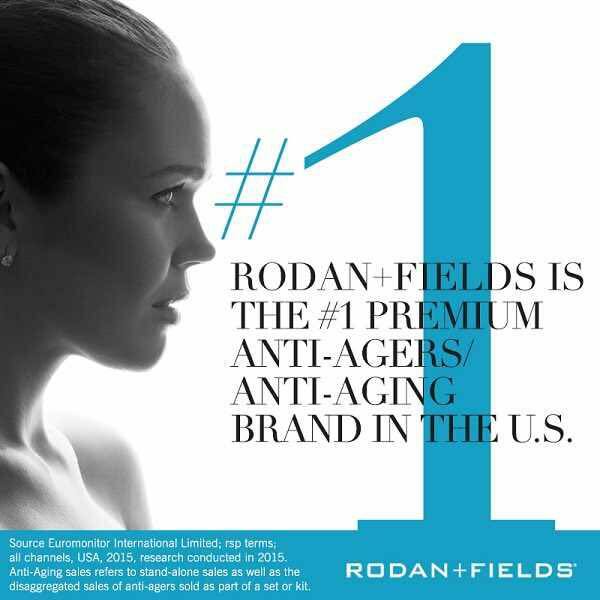 Plus online you can get free shipping on orders over $75! If you are shopping online, remember to use Ebates to get cash back on your purchase! Have a great Labor Day weekend! I am off to a friend's wedding and will be back at the end of the weekend! If I am lucky I will get to add another Vera Bradley store to my list of stores I have visited, hopefully we have time. I recently won a couple of giveaways from two of my favorite blogs and just wanted to share! Thank you to Pink Martinis and Pearls for hosting a giveaway from QBS. 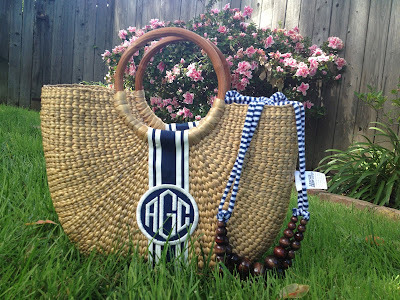 I was able to pick out a tote and chose this lovely straw basket with my monogram on it! I don't want the fun to end, so I will be hosting a giveaway starting tomorrow! So check back to see what you can enter to win! 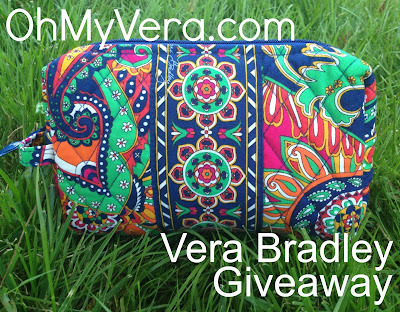 If you love your Vera as much as your pet, you are going to love these! Dog collars and pet carriers will be out November 7! A few more photos of what is coming out this winter! 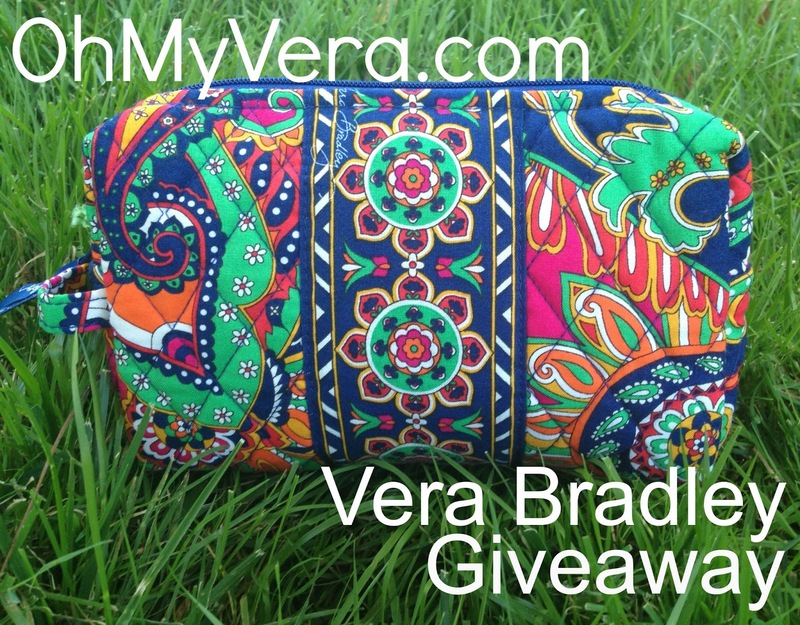 I can't wait for the Vera Vera bags in Cobalt and Magenta! They are so gorgeous! 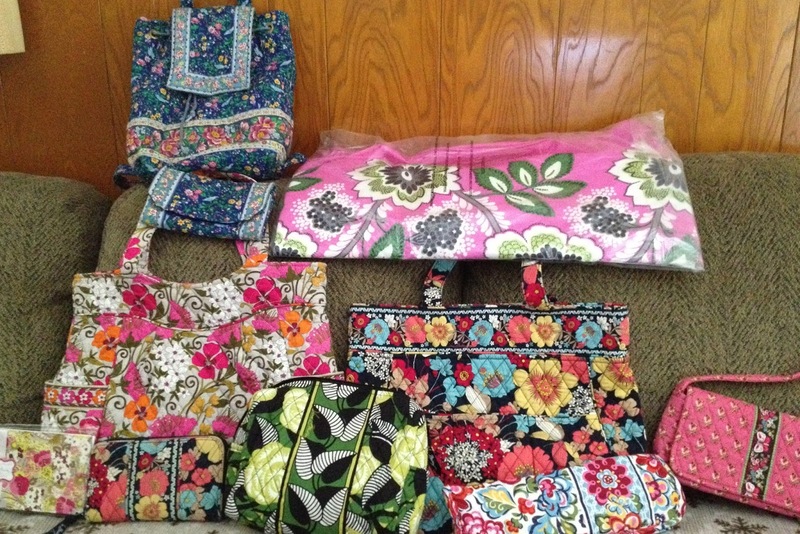 The large Venetian Paisley bag in the top photo is a new bag called the Laptop Carryall. It has a nice size pocket on the front and I can't wait to see this one in person. The Canterberry Magenta item is a tablet envelope. The Choo Choo Case is coming back as well! It will retail for $52. How nice would that be for traveling?! 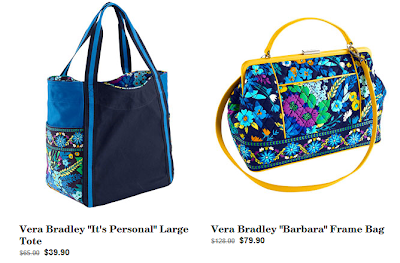 There are a couple of current discount codes available for verabradley.com. You can only use one online promotion code at a time, but the free shipping will automatically be applied to your order if you spend $50+. RETAILME30 for $30 off a $100+ purchase (online only) Exp 8/14 CANVAS 40% off canvas bags including the new Colorblock Totes (online only) Exp 8/29 Free shipping on orders $50 or more, now through 8/15 (no code needed) Don't forget to start at Ebates so that you can get cash back on your purchase! If you haven't signed up for Ebates yet, you will get a $10 gift card for signing up and then every time you shop online, just start at Ebates to earn cash back on your purchases. Once a quarter they will mail you a 'Big Fat Check' with your earnings!